Bermuda, in weather zone 11 of the USDA, has a subtropical, not tropical, climate. Only a few of the many species of plants growing in Bermuda are endemic. Most (70%) were introduced and many have become native, meaning they arrived naturally - by natural occurrence without the aid of mankind - but can be found in other places too. Others are naturalized, meaning they were introduced by man and later established on their own. They include hedges of red, white, pink and yellow oleander, Surinam cherry - highly invasive - and hibiscus in different colors. They can grow big and wild, unlike in Britain and parts of North America where they are prized. Some have become invasive, taking over space that endemic and native plants need. Arable land is farmed year round for flowers, fruits, herbs and vegetables. Below are few sites which have good and beautiful flower wallpapers, screen savers and Pictures for downlaod. Video showing wild rose flowers in various colors. Different varieties of roses. A video showing how to paint rose using water colors. See this wonderful video of flowers. Different type of flowers in various colors. The flower in the picture is The Rare Parrot Flower, belonging to Thailand. It is Impatiens psittacina of Thailand. In fact it is a species from several small geographic regions in Asia, northern Thailand, Burma and a neighboring state in India. Some sources claim it is found in Vietnam, the Himalayas and neighboring countries but that cannot be confirmed scientifically. 1. Eat flowers only when you are positive they are edible. If uncertain, consult a good reference book on edible flowers prior to consumption. 2. Just because flowers are served with food does not mean they are edible. It's easy and very attractive to use flowers for garnish on plates or for decoration, but avoid using non-edible flowers this way. Many people believe that anything on the plate can be eaten. They may not know if the flower is edible or not and may be afraid to ask. 3. If pesticides are necessary, use only those products labeled for use on edible crops. 4. Never ever eat flowers from florists, nurseries or garden centers. In many cases these flowers have been treated with pesticides not labeled for food crops. 5. Do not eat flowers picked from the side of the road. Once again, possible herbicide use eliminates these flowers as a possibility for use. Remove pistils and stamens from flowers before eating. Eat only the flower petals for most flowers. 6. Wash all flowers thoroughly before you eat them. 7. Introduce flowers into your diet in small quantities one species at a time. eating too much of flowers may cause problems for your digestive system. 8. Removing pistils and stamens from flowers before eating is essential. Separate and only eat the flower petals from the rest of the flower. 9. Especially be careful with flower allergies. If you have allergies, introduce edible flowers gradually, as they may aggravate some allergies. This book Easy Answers for Great Gardens focuses on giving the reader easy answers for more carefree gardening. The book consists of 500 tips, techniques and outlandish ideas. The ideas are such that it also contains the kind of energy and enthusiasm that makes you want to go out and implement the ideas right away. Easy Answers is about 200 pages long, but is a very easy read. It covers most everything about gardening - some of which are soils and compost, gardening in pots, roses, and pests. The book is laid out in a neat Q&A format. Many of the tips and ideas are based on questions she has answered in her newspaper column. When asked "How much should I fertilize my trees?" the writer answers "The easy answer...Just forget it." After a couple of paragraphs explaining why fertilizing trees isn't a good idea she concludes, "Make your trees lean, mean and independent." And that illustrates the whole point of the book - don't stress over garden chores that you hate and plants that don't do well for you - gardening should be a pleasure, not a pain. If overall book review is done, we can say that the material is well organized and upbeat throughout. The writer is knowledgeable, and is very good at research and poccesses up-to-date information on latest trends. A Customer clarifies that the company he is dealing with, has years of experience and award-winning service. Secure ordering and a guarantee of satisfaction are next in importance. The local florist that has a web site should be the first one considered, since those florists will try hardest to please their regular customers. Comparing prices will help a customer to keep from paying too much for what he's getting. There are three groups of companies offering flower delivery online. The first are actual florists, and they range from the small operator with one shop and a third-party web site to established regional and national companies with multiple outlets. These larger companies have the experience, systems, and staff to handle hundreds or thousands of additional online flower orders each day. Each floral gift is individually designed and delivered by a professional flower shop in the recipient's locale. 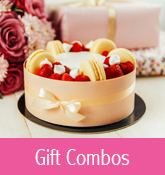 This is the most popular method of floral gift sending in the U.S. and Canada because of the broad selection and same-day and next-day service. For obvious reasons these real florists are the first choices when flower delivery service is needed. The next group called for flower delivery online includes floral growers, brokers, shippers, and online marketers specializing in shipping unarranged flowers in a box by overnight air. These companies provide an economic alternative to the flower shops, and their flowers may be a few days fresher and less expensive. The other online floral sources are general retailers, wire services, middlemen, affiliates, catalog companies, or other resellers. Florists or flower shippers behind the scenes typically perform the flower delivery service they offer. Finally, we can say that larger, nationally known firms are the safest, and when possible, the buyer should deal with someone he has had some experience with. Gifting flowers is an age old trend to express love, sympathy to the beloved. Flowers can be purchased in the market. Gradually, there has been a change in the attitude of the sender. The sender takes into account the favourites of the recipient. He finds the local florist and orders the flowers/bouquets. But sending flowers online has become the fashion trend due to to the non-availability of time, and energy for shopping. Flowers can be ordered by new options available with the advent of the Internet. They can be ordered in the comfort of one's home. Floral arrangements in every size, from the boutonniere to the very large arrangements, are the most popular way to express ourselves on so many occasions. 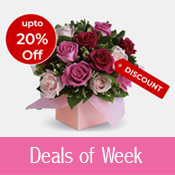 Flower delivery online is available through a large number of florists who now have web sites. Customers can visit, with pictures of the available arrangements to choose from. The process is quite simple. 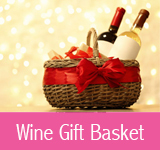 The process goes like this: Find the desired arrangement, enter the information about who it is going to, who its from, and credit card information for the purchase. The amounts are posted with the pictures so the customer can see exactly what he is buying. When homeowners contemplate incorporating fall colors in their landscaping, they normally think of trees or shrubs that bear colorful leaves in the fall. But do not forget about planting fall flowers! Everyone gets the flower planting bug in spring. But fall flower planting is the mark of the true landscaping enthusiast, who begrudges not even tender annuals such as marigolds a spot on the autumn landscape. Can anyone identify this flower - a bulb, flowering in August, with long thin leaves, found everywhere in the hedgerows and roadsides in the West of Ireland? We are insearch of flowers called as "Summer End". Can anyone has an idea of flowers called as "Summers End" or "The Summers End". They are supposed to bloom ALL summer long. Has anyone heard of them? Could anyone identify this flower? Summer is the time for beautiful flower beds. Never during the entire season do we have so many flowers blooming for such an extended period. Either they might be showy annuals or subtle perennials, they all are part of successful flower gardens. Helping flowers survive begins with the design. Planting all the same kinds of flowers in the same location year after year is certain to increase problems. Insects, diseases and other pests build up because the plants never change. While some perennials do not like to be moved, it makes good sense to rotate annual plantings. Try to rotate among different families or groupings. Changing petunia varieties is of no value because all of them are susceptible to the same problems. Rotating between petunias and nicotania is also ineffective since both belong to the same family. It also is poor design to plant all the same kinds of flowers in large masses. The problem arises when one plant develops a disease or insect - then they are all likely to have the same affliction. With a diversity of plants, a disease may kill out one type, but the beds will look attractive and full because other resistant plants grow and fill in. These plantings are also usually more interesting from a design standpoint. Many flowers show wilting as a symptom. Lack of water is the most obvious cause, but root rot produces the same symptom because it destroys all the small absorbing roots that supply water to the top of the plant. Some fungal diseases, including verticillium wilt, affect many plants. Powdery mildew afflicts many plants, White mold is another damaging fungus. Insects are grouped as general feeders that feed on many different plants and those that are more specific and feed on specific kinds. Tobacco bud worm is much more specific. Spider mites are another frequent problem. Slugs and snails are serious flower pests. Last modified on Aug 30, 2007 | TFE v1.2 | © 2005-2017 Gifting Inc.